Reduce project risk with user-tested software prototyping. Download this free guide to learn how our ClickModel approach ensures project success! 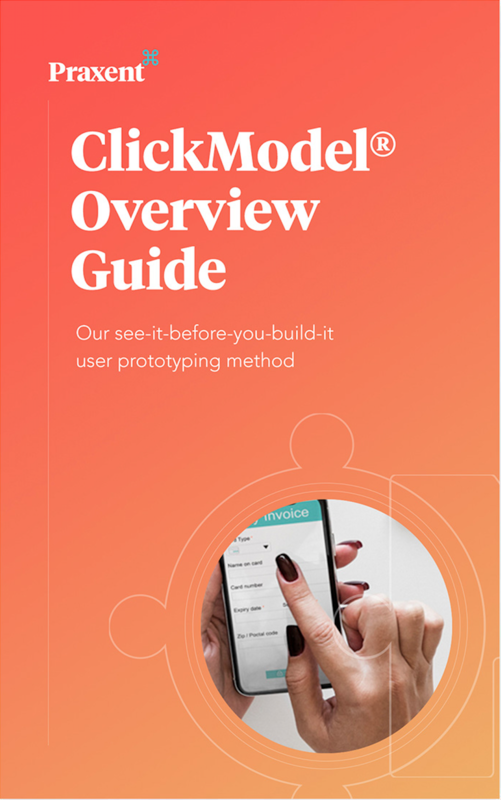 This guide is an overview of ClickModel® — our approach to developing custom web-based software solutions for businesses leaders wanting to take their business to the next level. Resulting from more than seventeen years building hundreds of custom software solutions, mobile apps, and websites — the principles outlined are drawn from industry best practices in the software development, user experience (UX), design, and lean startup disciplines. Learn how you can maximize your returns from your software development project with a strategy proven to work from the start.